Stitching science and sound, ex-NASA specialist transports the listener into his travelogue that doesn’t need video to create a home system. It’s heartwarming when the first words you hear on a mostly instrumental records are “All right” and they become a refrain for its opener, making the album’s welcoming factor undeniable, with the glowing grooves of “Be There Soon” announcing the arrival of an interesting artist and promising a pleasant analogue trip. 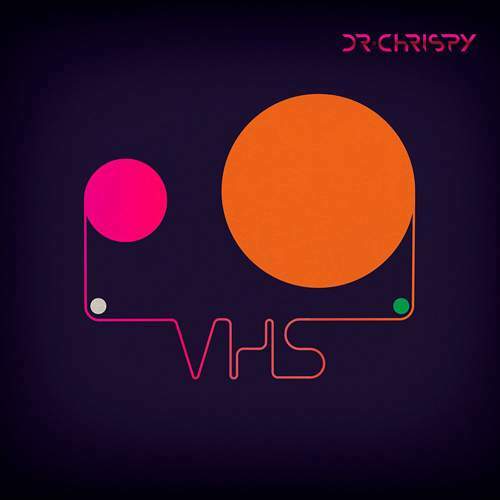 There’s rarely a bright melody on display, but these twilight tracks don’t really need one to possess allure, something that Dr Chrispy, or Dr. Chris Boshuizen, knows quite well. A renown aeronautical engineer, one of the PhoneSat inventors and co-founder of Planet Labs, but also a musician, he’s well aware of small things’ ability to serve a large purpose, which is why the good doctor’s beats can form, in mosaic manner, a complex picture, his recording debut marking places visited during the scientist’s move from Australia to the States. The drift may suggest certain urgency in “Gotta Getta Gatta” where a blazing mariachi trumpet and comfortable house-like electronica compete for the listener’s attention, yet the streamlined, if steamrolled with a solemn organ, “Sleeping in Tokyo” has a comforting sort of urban vibe to it which the piano-helped glimmer of “Blue Sky Line” will render romantic. Still, the ever-expanding scope of “Goodbye Shanghai” is as playfully panoramic as the pulse of “60 Miles Up” whose scintillating percussion hints at space shenanigans, while a skewed tranquility in “Vanmover” is balanced with the predatory pace of “Vancouver” that unexpectedly soars on the wings of six strings. Measuring the amplitude of the musician’s emotional swing, there’s a serene flow to lull “Maui” and conceal a most arresting melody which rubs shoulders with a fugue depth, but also an 8-bit undercurrent to carry the retrofuturistic “Torotoroid” before “Follow The Wild Geese” turns out to be an actual song, a folk-inspired ballad voiced by Marie Jenkins. The resulting effect – stressed also by the brass-smeared nostalgic wave swelling in “Dreaming Of Home” as if to contrast “I’m Going Down (Under)” and its pure dance adventure – is one of a very organic symbiosis of artificial and natural, akin to what used to exist on VHS tapes. It’s heartwarming to rewind it and enter memory lane.